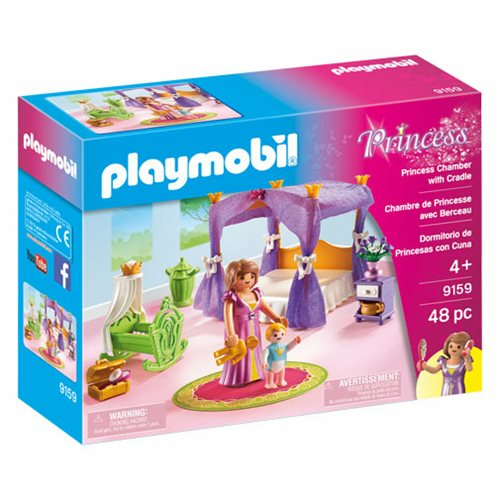 Cozy up for a royal slumber in the Princess Chamber with Cradle. A lavish four-poster bed with canopy is at the center of the room while the royal baby gets rocked to sleep nearby. Set includes one adult figure, one child figure, bedside table, doll, mirror, vase with flowers, and other accessories. Recommended for ages four and up.Warning. Choking Hazard. Small parts. Not for children under 3 years.